If you are using Pages on your Mac, it is worth noting the ‘Share’ feature. 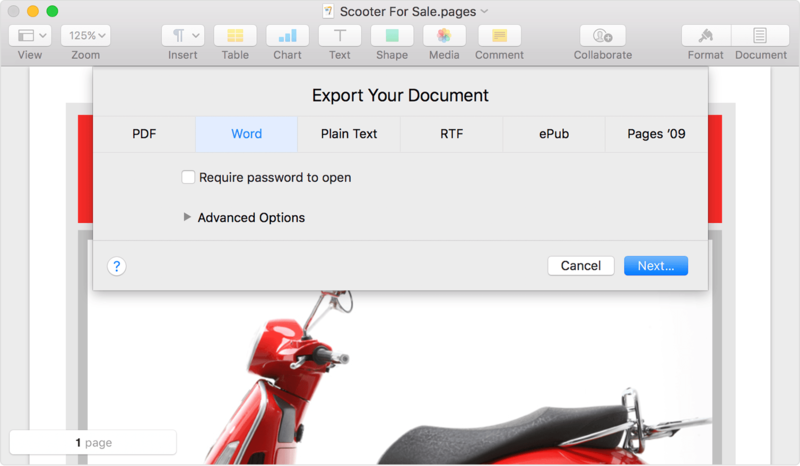 This allows you to export your document in other common formats, such as Word or PDF. So, when you have finished your document, go to Share on the menu bar at the top of your screen and choose ‘Send a Copy’. Choose the format you require and it will put the document in this format into a new email as an attachment. For more advice and training, please contact the Farpoint showroom on 01225 460678. ← Paul’s Tech Tips: What Operating System Are You Running?